In hours, 100 bills to spend 40 Billion New Dollars, Welcome to California! Home » News » Local News » In hours, 100 bills to spend 40 Billion New Dollars, Welcome to California! By BStigers on December 6, 2018. California lawmakers have only been in session a few hours, and a majority of Democrats have proposed billions of new dollar spending. Gov. Elect Newsom, also a democrat, making visitations around the Capitol yesterday sent a message expenses need to be whittled down. 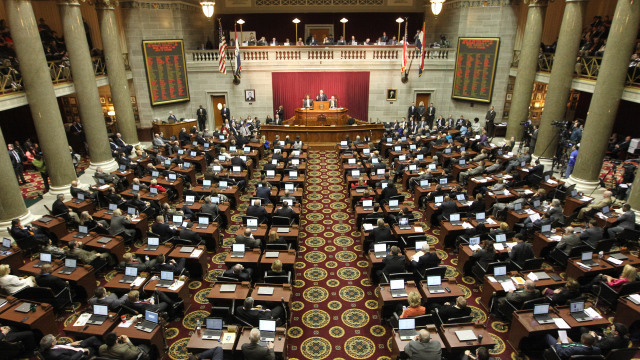 In the first day of the legislative session Monday, lawmakers introduced more than 100 bills that contained more than $40 billion in proposed new spending. The proposals ranged from expanding Medi-Cal eligibility to adults living in the country illegally, which carries a roughly $3 billion annual price tag, to dramatically increasing funding for K-12 schools, which would cost $35 billion over an undetermined period of years. Gov. Elect Newsom will be sworn in next month and said he wants to make changes gradually over his first term of four years. The state budget is predicted to have a potential surplus of cash of 14.8 billion dollars next year.